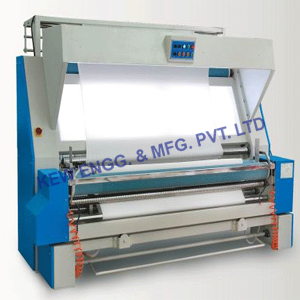 We are committed to provide optimum quality of Fabric Inspection Machine from last 25 years. All our Fabric Inspection Machines are designed and equipped with all quality features like including, tensionless handling, 100% accurate length measuring, appropriate illumination, Straight roll selvedge, variable roll hardness, auto cutting and many more. It provides efficient inspection of medium as well as heavy quality fabric.